The procedure used to make a system or design as effective as possible. The process of improving your marketing campaigns to boost traffic, conversions, and return on investment (ROI). Guaranteed top search engine ad placement on Google, Yahoo, and Bing. 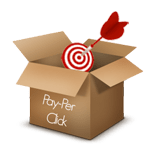 Pay-Per-Click (PPC) is an advertising model used on search engines where advertisers pay when a user clicks on an ad to visit the advertiser’s website. 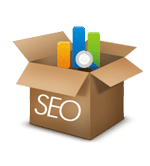 Advertisers bid on keywords they believe their target market would type in the search bar when they are looking for a product or service. Studies show consumers find companies more trustworthy who engage in social networking via sites like Twitter and Facebook. A Facebook Page and Twitter Feed is necessary to do business in today’s world, but they are also great tools for helping you create a rapport with your clients. Your mailing list is one of your business’s most valuable assets. Connections can help you get the most of this valuable asset through comprehensive email marketing services.